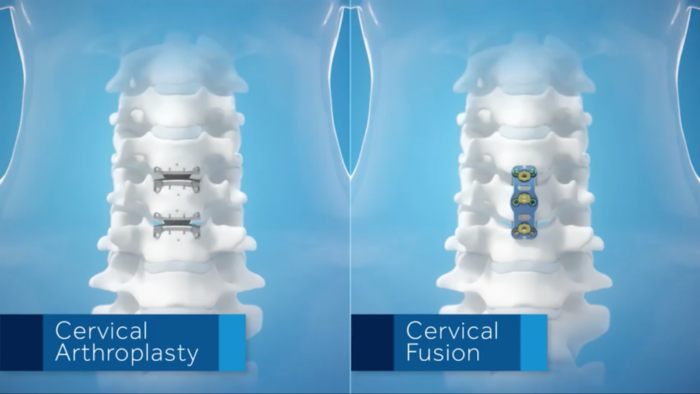 The Atlantis Vision Elite cervical plate on the right is designed to provide stability or fixation during spinal fusion. When a plate is used it provides stability during spinal fusion which limits the motion at the treated level. In this side view of the neck, the disc maintains motion at the treated levels when tilting your head forward and backward. 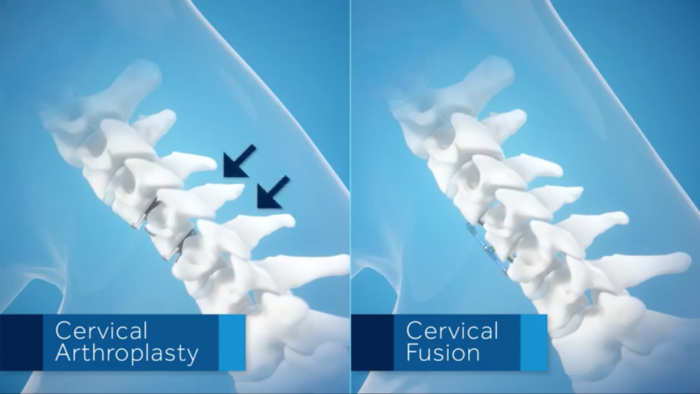 At 2 years after surgery, considering all of the patients treated with the Prestige LP Cervical disc at two adjacent levels 100 out of 196 which is 51% had more than four degrees of motion at both treated levels while bending the head forward to backward. The cervical plate on the right provides stability at the treated levels when tilting your head forward and backward. Foreign body reaction to the implant includes possible tumor formation autoimmune disease metallosis and/or scarring. Implant migration, implant subsidence and loss of fixation. Bone formation (including heterotopic ossification) that may reduce spinal motion or result in a fusion either at the treated or at the adjacent levels. Development of new radiculopathy myelopathy or pain. Tissue or nerve damage caused by improper positioning and place of implants or instrument. Fracture, microfracture, resorption, damage or penetration of any spinal bone and/or bone graft or bone graft harvest site at, above, and/or below the level of surgery. Bending, and/or breakage of any or all of the components.